Writer, editor, publisher, and the self-proclaimed “King of Cameos”. Stan was one of the architects for what would become known as the Marvel Universe, involved in the creation of Spider-Man, the X-Men, the Incredible Hulk, the Avengers, Iron Man, the Fantastic Four, the Mighty Thor, Daredevil and others, as well as the foundations for their individual worlds and supporting characters. 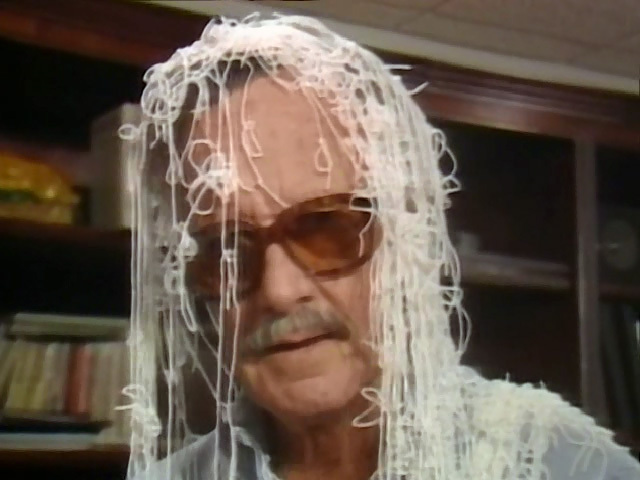 His bombastic personality and engaging prose led to his becoming the face of Marvel comics, and one of its most well-known creators. As Marvel expanded its characters into other media, Stan had various levels of involvement with their productions; particularly during the brief existence of Marvel Productions. Traditionally, Stan has received an “executive producer” credit on any Marvel-based project, including the Marvel-produced Biker Mice From Mars (1993). 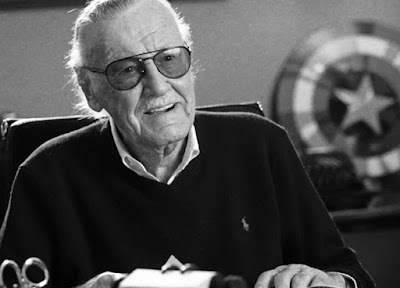 However, he was actively involved as the story and art consultant for Spider-Man (1967) and Fantastic Four (1967), wrote several scripts for The New Fantastic Four, was the executive story editor for RoboCop: The Animated Series and the supervising producer for Pryde of the X-Men. He also developed Spider-Woman and oversaw the development of X-Men: The Animated Series’ first season and Spider-Man: The Animated Series. 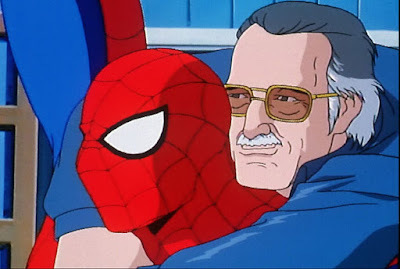 Some of his legendary cameos came in the form of the narrator for Spider-Man and his Amazing Friends, The Incredible Hulk (1982), and Pryde of the X-Men. 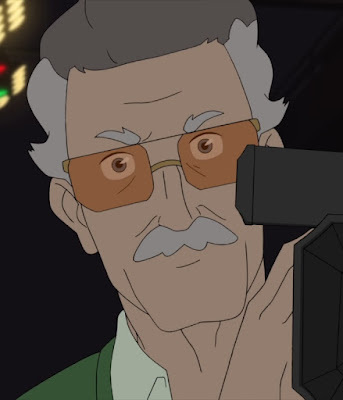 He appeared on screen as himself in a fantasy sequence of Muppet Babies, meeting Spider-Man in Spider-Man: The Animated Series, and pulled double-duty as a cameraman in Marvel’s Spider-Man. 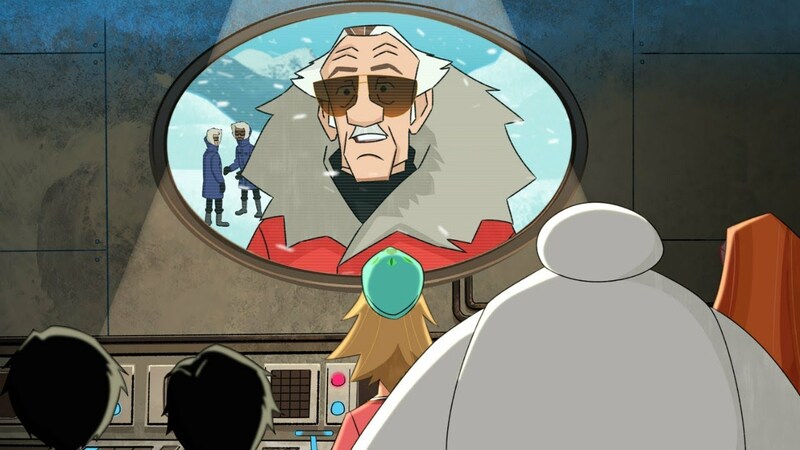 He also reprised his role as Fred’s Dad from the Big Hero 6 film in a recurring role in Big Hero 6: The Series.